100% biodegradable and eco friendly. Perfect for shopping or tradeshows. 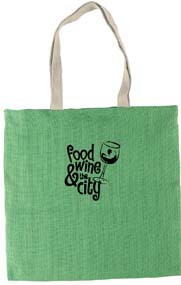 Large tote bag with durable straps. Made from Jute fabrication. Imprint Size : 8” x 6"